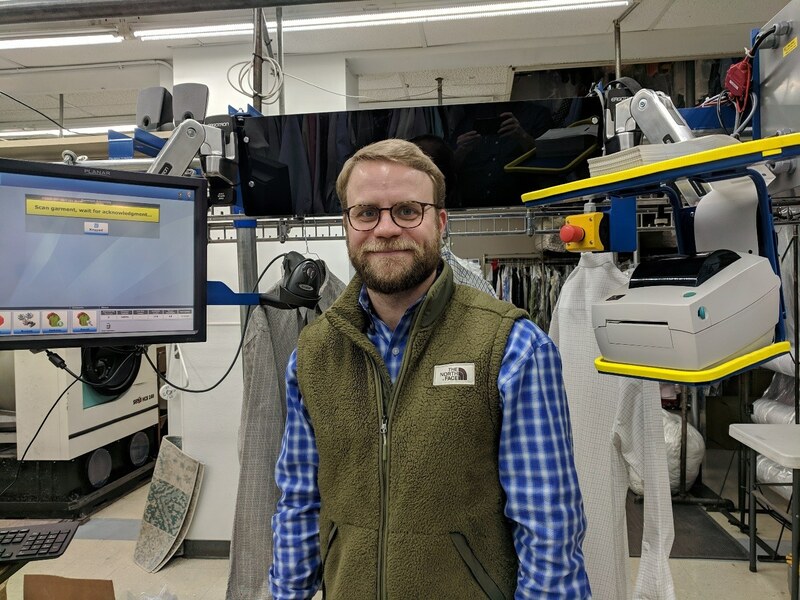 Kenilworth, NJ – White Conveyors recently installed its semi-automated garment Order Assembly System (SUV-OAS) at Complete Cleaners, located in Trussville, Alabama. Complete Cleaners wanted to improve its productivity by transitioning from manual assembly at both its locations to automated assembly at one location. The business suffered from a lack of space at the main plant and employees often had to haul completed garments several times a day to the necessary destinations. Alex Yearout, the company owner, knew that he needed to make a change, and this meant a company overhaul. After extensive research, he chose White Conveyors to offer him the best solution to meet his needs.